Franklin Piland (b. 1990) is a Native American musician who currently holds a Masters in Music Composition from the University of Texas at Austin and a Bachelor of Music in Music Performance with minor emphasis in Music Technology and Music Composition from Eastern New Mexico University. His current posts of service include the Director of Bands and Orchestras at East Austin College Prep and Music Director for The Lonestar Brass Orchestra. Since 2008 Franklin has studied with many great masters in a diverse array of fields in the music industry: Maestros Dustin Seifert, Neil Rutland, Mark Dal Porto, Donald Grantham, Russell Pinkston, Bruce Pennycook, Frank Simon, Gary Powell, Andy Murphy, Robert Hatten, Ryan Kelly, Robert Carnochan, and Brad Walker. He owes the majority of his current success to these exceptional human beings. He reserves the last 2 percent to his stubbornness. As a composer and arranger Franklin has been fortunate to have all of his works premiered and recorded by a variety of musicians, from middle school bands to collegiate ensembles, and has created music with some of the world’s best humans; renowned flautist François Minaux, star soprano Audra Methvin, critically-acclaimed saxophonist Ann Bradfield, the flawless bassoonist Shih-min Tang, master collaborative pianist Ben Corbin, clarinetist Winnie Fan, mezzo-soprano Page Stephens, and Disney composer and recording engineer Gary Powell name just a few of the many talented and exceptional collaborators. Arrangements of Franklin’s are widely-requested and numerous, and range from solos to symphonies. His choral and band works have drawn attention from legendary composers of our time, Eric Whitacre, Donald Grantham, Mark Camphouse, and David Holsinger being some of the most prominent. His band work Somnia Mortem was named a finalist in the ATSSB Composition Competition and has been championed beautifully by David Holsinger since 2013. He has been commissioned numerous works (20 since 2011 and counting) for a wide variety of ensembles, most recently Meditations for Wind Ensemble, Nine – Concertino for Tuba and Piano, Rose Made Man, a One-Act Opera, Hymn for band, and four works for the Pakistani/American fusion group Sangat (Moon of the 15th, Sangat, Morning, and Sun of the 10th) recently on tour across the world. Franklin’s most recent projects include: an exciting collaboration with the Native American jazz group The Delbert Anderson Trio, recently featured on NPR’s Tiny Desk Concert series, arranging three tunes from their first album for rapper, jazz trio, and wind ensemble, an experimental fusion dubstep, and a short Latin suite of small educational pieces for young wind band entitled Tapas. Franklin is a lifelong educator and constant advocate of music education. 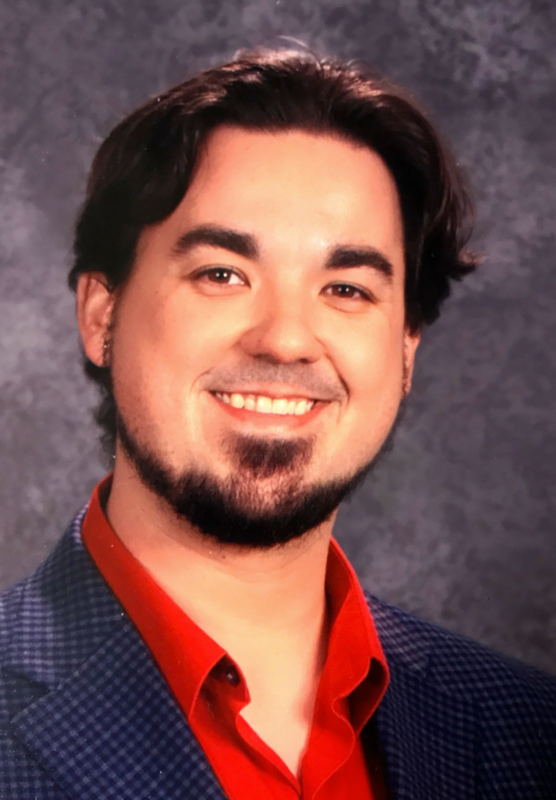 In his post as Director of Bands and Orchestras at East Austin College Prep in Austin, TX (grades 6-12) he coordinates the wind band, string orchestra, mariachi amazóc, and steel band programs. Additionally, he continues to teach private lessons for music theory and composition, tuba, trombone, and euphonium. In 2016 he was lecturer and composer in residence at the National Academy of Performing Arts in Karachi, Pakistan working with year 1-4 college students in Western Classical Music Theory and Composition. He is sought after by both high school and collegiate ensembles alike in preparation of his own music or for clinics and masterclasses, and ALWAYS (hint, hint) looks forward to collaborating with new musicians in the pursuit of educational excellence. Mr. Piland believes teaching music is a community-based collaborative endeavor that encourages all members, teachers, parents, and students alike, to work together for the collective benefit of the ensemble in an effort to build something greater than the individual. This is at the forefront of all his teachings and is the motivator of his adamant belief in lifelong learning. As a conductor, he seizes any opportunity to collaborate with groups of all varieties. He has worked regularly with the Eastern New Mexico University Wind Symphony and Symphonic Band and the Muleshoe High School Band, as well as having guest appearances with the University of Texas Symphonic Band and Wind Symphony. One of his favorite hobbies is conducting and producing chamber ensembles in recording sessions in the Austin area. As a performer he has played as the principal tubist for the Eastern New Mexico University Wind Symphony from 2008 to 2013; performed in a variety of wind ensembles in New Mexico, Texas, Washington, Ireland, and Pakistan; in addition to a number of solo and chamber recitals. In 2009 Franklin established The Greyhound Brass, an autonomous student-run brass quintet based in the Eastern New Mexico/West Texas area devoted to performing quality brass chamber music for the surrounding schools and communities. He has performed regularly with the University of Texas Middle Eastern Ensemble and the University of Texas Hispanic/Caribbean Ensemble. Franklin continues to perform with the international touring group Sangat! (including a run at the prestigious SXSW Festival in Austin, TX) and the Cedar Park Winds. As a professional audio and video recording engineer and producer, Franklin has had the immense fortune to work with and for some of the most sensitive and hard-working musicians, organizations, and projects of this age. He has recorded such groups and soloists as the Miró Quartet, the University of Texas Wind Ensemble, Spinal Tap, the Cordova Quartet, Anton Nel, Hear No Evil, Time for Three, and the University of Texas Symphony Orchestra. Recording projects under his direction have been numerous and include the Austin Chamber Music Festival’s 2015 season, University Interscholastic League (UIL) concert and jazz festivals, and private sessions for up-and-coming composers and artists in the field. Recently he had the pleasure of collaborating on the official recording sessions for Donald Grantham’s War Prayer, Charles Hoag’s Concerto Marais de Cygnes, Andrew Boss’ Telestai, and the UT Wind Ensemble’s live performance of John Mackey’s Wine Dark Sea and the world premiere of Steven Bryant’s Concerto for Trombone featuring Joe Alessi. Franklin has worked as an Audio/Video Recording Engineer with the Eastern New Mexico University and the University of Texas at Austin Recording Studios. Franklin has had the great honor of membership in the National Band Association and Kappa Kappa Psi National Honorary Fraternity for College Bandsmen, which he served as Chapter President for numerous years in both. Franklin is also an active member of the International Tuba and Euphonium Association (ITEA), the National Association for Music Education (NAfME), the Texas Music Educators Association (TMEA), the College Band Directors National Association (CBDNA), and the American Society of Composers, Authors, and Publishers (ASCAP). Despite all of his numerous obligations and responsibilities, Franklin is a lover of tennis, painting, and Batman (though oddly enough he has yet to paint Batman playing tennis).